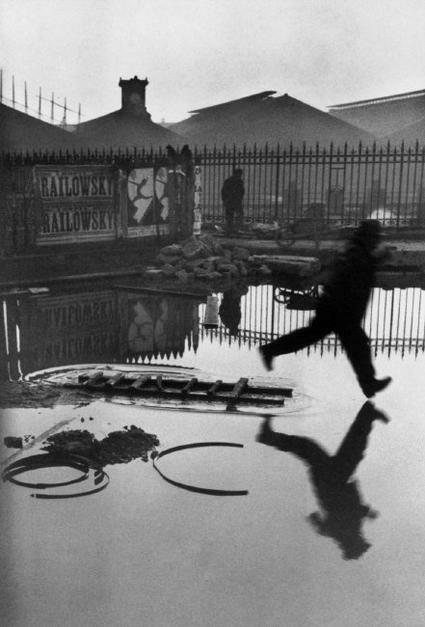 Henri Cartier-Bresson was one of the world’s premiere candid photographers, admired by all and compared to few. You probably recognize some of his more iconic street shots, like this one, but his rise to fame actually came from his travels to India in the late 1940s. The Rubin Museum’s Henri Cartier-Bresson: India In Full Frame exhibit, on view through January 29, 2018, explores history across 69 photographs taken by Bresson in 1948, spanning daily scenes of India’s then-recent independence to Gandhi’s last days. It’s a masterful collection worth seeing for a true comprehension of Bresson’s skilled eye. If you haven’t been to the Rubin Museum, it’s one of the cities underappreciated treasures, filled with art and artifacts from the Himalayas and Indian subcontinent. Spend Sunday afternoon wandering the Rubin’s halls, then moving westward for a stroll along The Highline to discuss or mull the experience. Don’t feel like leaving the museum at closing time? On December 2, you won’t have to. The Rubin Museum is hosting its annual Dream-Over for adults, where every attendee will be assigned a work of art to sleep under for the night. The event will include a conversation about the significance of dreaming, and the chance for guests to interpret their own dreams in the morning. Considering this sounds better than any Tinder date, make sure to mark your calendar and not miss out on one of the Rubin’s most popular events. Dreamover tickets go on sale on October 24 at 11am, gather your bunkmates and make a plan because they always sell out quickly. House of Color: MONOCHROME at 276 Greenpoint Ave.